ChromoTek GmbH (Martinsried, Germany) announces the launch of a new research assay for protein-protein interaction (PPI)analysis in live mammalian cells, the Fluorescence Two-Hybrid (F2H®) Kit. This new product is the result of Chromotek's long experience with applying the F2H technology in PPI compound screening for pharmaceutical and biotech customers. The new kit format overcomes limitations of currently available methods and will fascinate biomedical scientists, who investigate protein-protein interactions (PPIs) by its ease of use. 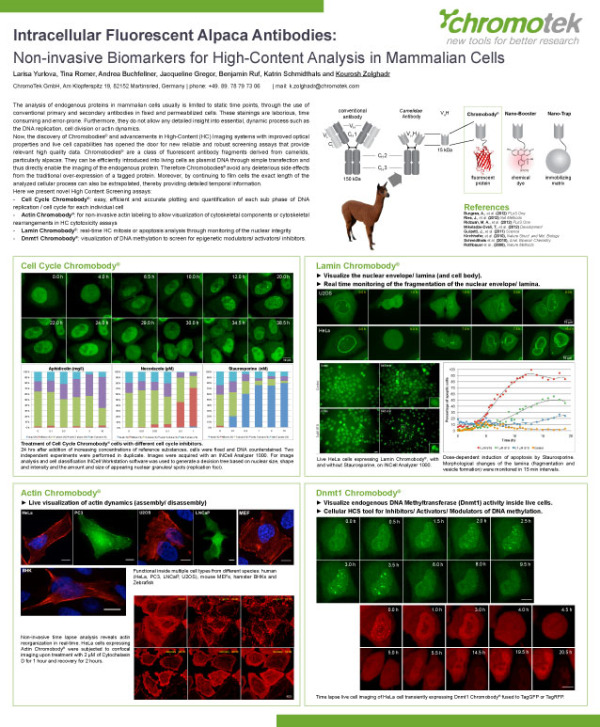 ChromoTek’s F2H® Kit enables effortless analysis of interactions between any GFP- and RFP- tagged protein pairs in living mammalian cells by conventional fluorescence microscopy. It is a fast, simple and quantitative way to characterize PPIs in intracellular environment, screen for PPI inhibitors and evaluate their activity in real time. Unlike available complementation assays, such as split-YFP, F2H® is a fully reversible assay and therefore better suitable for testing PPI antagonists. In comparison to FRET assays, the ingeniously simple optical read-out of F2H® does not require sophisticated equipment, making it much more affordable and at the same time robust and reliable. 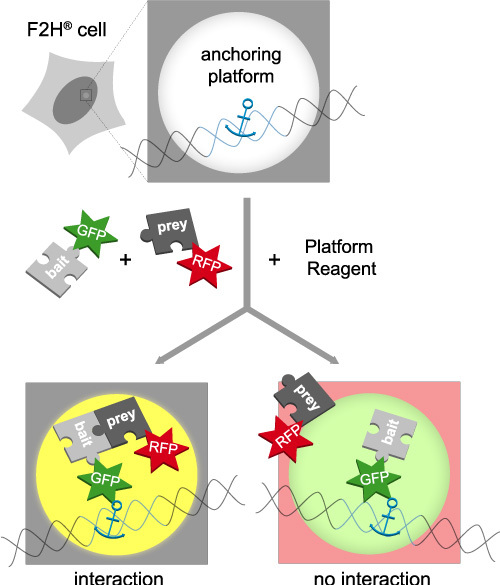 Protein-protein interactions: see them, screen then, publish! Yes! Our latest paper reporting on screening for protein-protein interaction inhibitors with F2H is now online: http://www.ncbi.nlm.nih.gov/pubmed/24476585.